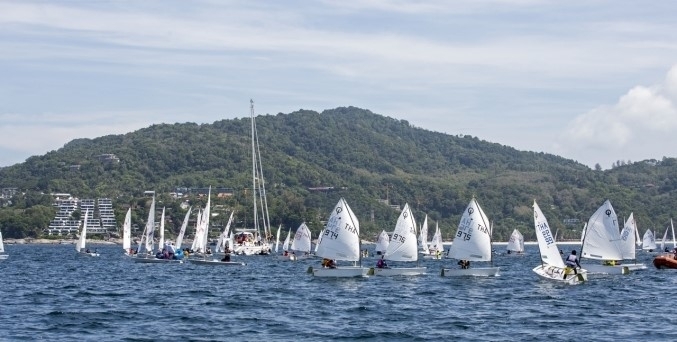 Phuket, 6th December –The International Dinghy Classes took center stage on Thursday at the annual Phuket King’s Cup Regatta as the keelboats and multihulls enjoyed a rest day. Chusit Punlamala was showing the way in the Standard Class, followed by Arthit Romanykand Chairat Dangdeemark. Janisara Sasha Romanyk leads the Laser Radial Class, followed by Sophia Gail Montgomery in second place and Voravong Rachrattanaruk third.